Pat has 30 years of hands-on senior management experience planning, designing, producing and project managing the development of attractions for theme parks, visitor centers, water parks, and aquariums. Pat spent 18 years as an executive with Walt Disney Imagineering He is also a general partner and investor in numerous commercial and real estate projects in Colorado and Arizona. When Pat’s time is not taken up by his work with Apogee, he functions as President and Owner of PRS Associates, Inc., a Colorado consulting and business development firm. Clients assisted by PRS have included The Broadmoor Resort, Harrison Price Company, the Mystic Sea Life Aquarium, The Longaberger Company, Islands of Paradise, the Mississippi Band of Choctaw Indians and RadioShack Corporation. Before forming PRS Associates, Pat served as Executive Vice President of BRC Imagination Arts, an international designer and producer of world-class attractions for theme parks, world fairs, aquariums, visitor centers and museums. While at BRC, Pat was responsible for all marketing and business development activities for the company. 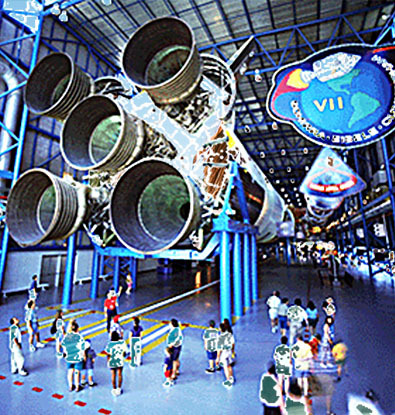 In addition, he served as Co-Executive Producer for all show and exhibit elements of the Apollo/Saturn V Center visitor complex at NASA Kennedy Space Center in Florida; Senior Project Executive overseeing all design, production and installation of the Mystery Lodge attraction for Knott’s Berry Farm; Senior Project Executive for renovation of the New Jersey State Aquarium; and Senior Production Executive for all shows, exhibits and displays for Space Center Houston visitor center at the Johnson Space Center in Houston, Texas. Pat spent 18 years as an executive with Walt Disney Imagineering, the Walt Disney Company subsidiary responsible for creating, designing, engineering, producing and constructing the company’s theme park ventures. While with WDI, he held a number of senior management positions, including Senior Vice President, Epcot Development; Senior Vice President, Project Management (U.S. and Japan); Vice President and General Manager, Creative Group (Concept, Design, Engineering and Manufacturing); and Vice President, Business and Marketing Development. He received his bachelor’s degree in economics from the University of California at Santa Barbara and his master’s degree in finance from the UCLA Graduate School of Management. He has been a member of the board of directors of the Themed Entertainment Association (TEA) and Chairman of the TEA’s Awards Committee. He has been a board member of The Learning Company; a director of the OmniPark Development District in Denver; and Chairman of the Angeles Chorale in Los Angeles. Currently, Pat is a member of IAAPA,, TEA, and he also serves as Chairman of the Board of the National Space Science & Technology Institute in Colorado Springs.